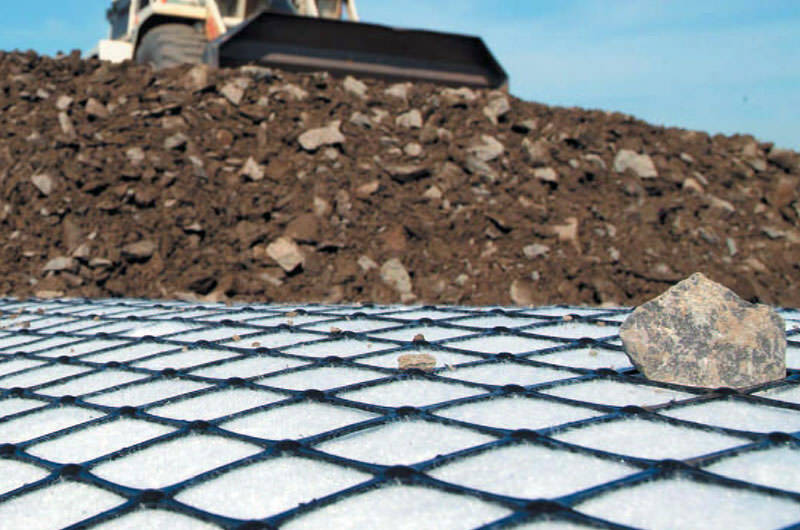 Geogrids are used to enhance soil shear strength and soil stiffness and do this by performing two distinct geosynthetic functions; reinforcement and stabilisation. 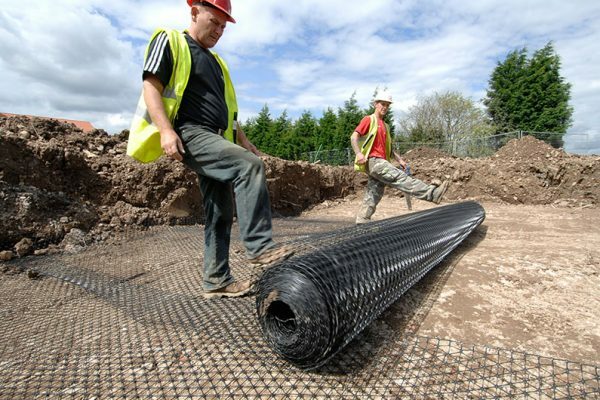 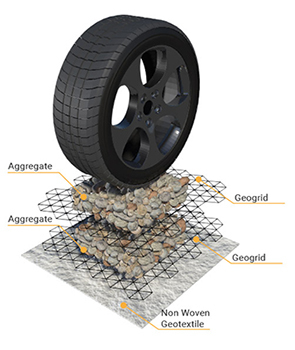 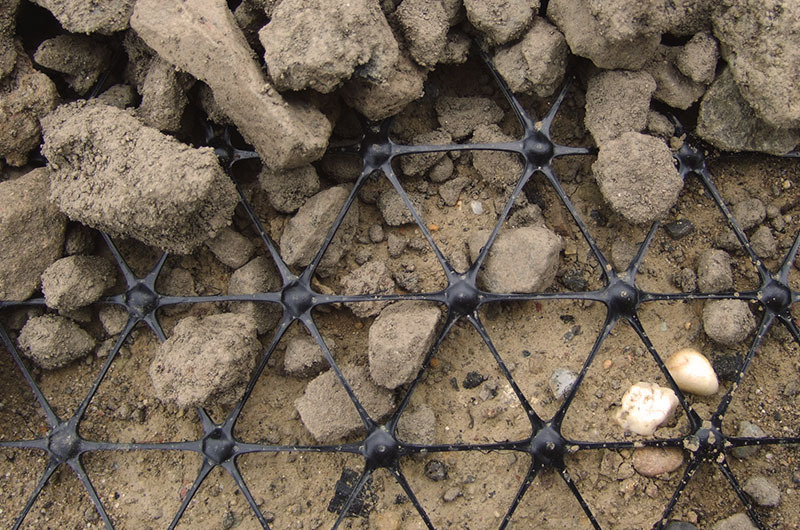 Soil reinforcement geogrids are used in long term loading applications and rely predominantly on long term tensile strength which significantly include factors catering for tensile creep. 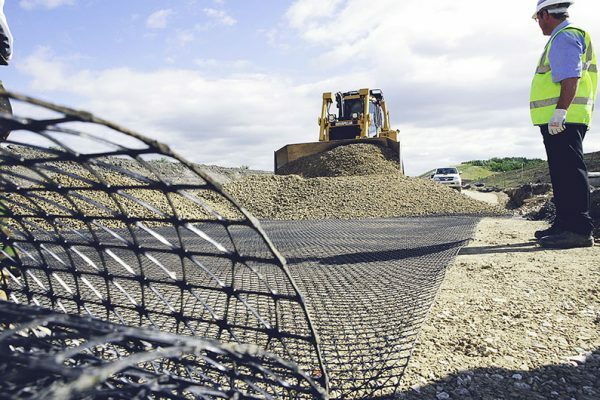 These strength based applications include reinforced soil walls & slopes, void spanning, basal embankment reinforcement, load transfer platforms and veneer stability. 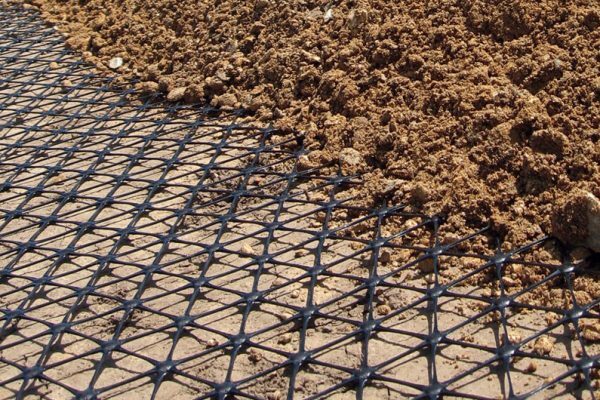 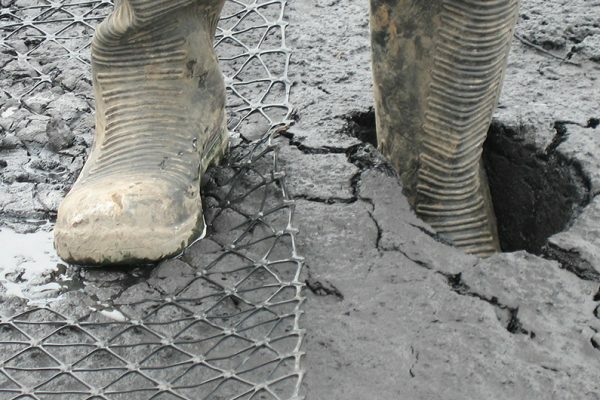 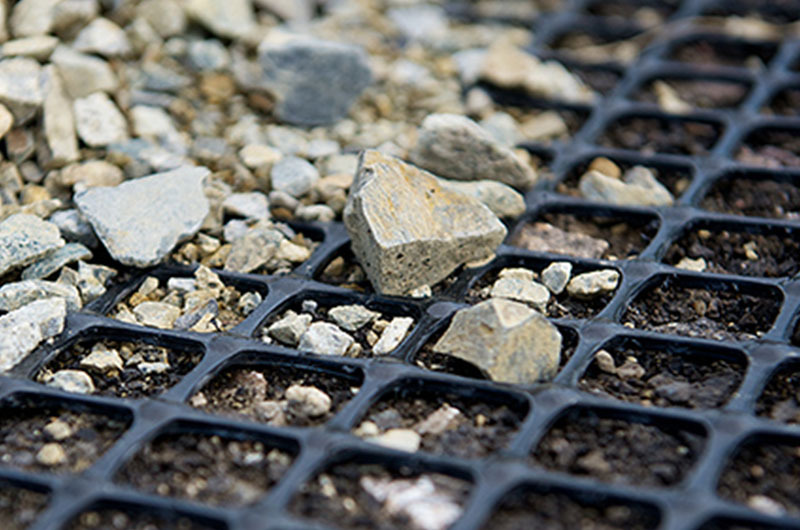 Soil stabilisation geogrids are used in transient loading applications and rely mostly on tensile stiffness, geogrid-soil interlock and the resulting soil confinement/lateral restraint. 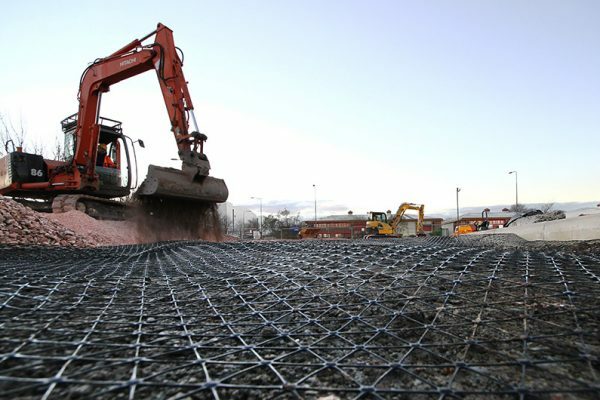 These confinement based applications include subgrade stabilisation, pavement optimisation and soft soil capping. 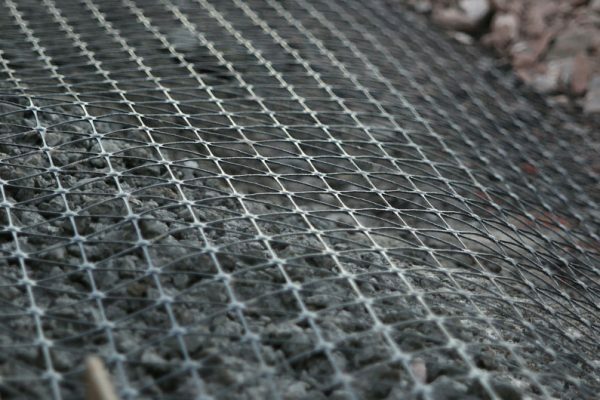 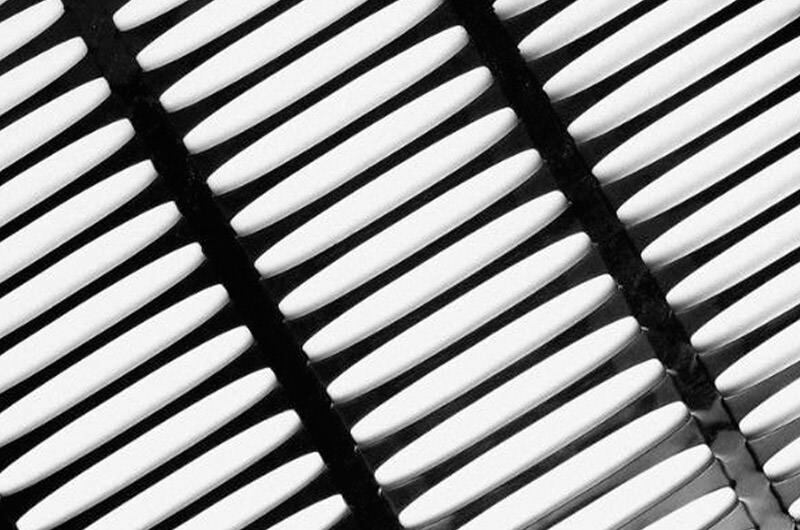 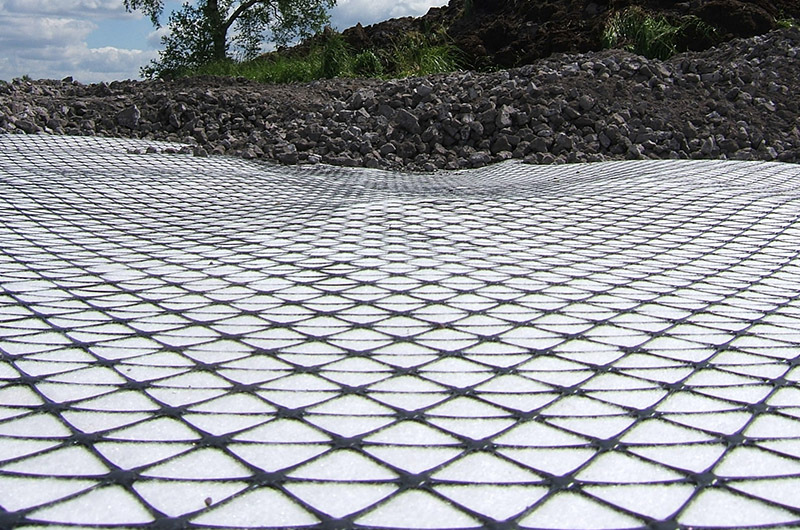 Tensar® TriAx® & biaxial stabilisation geogrids, geogrid and geotextile TX-G geocomposites and uniaxial reinforcement geogrids are offered by TCS Geotechnics as part of their geosynthetics range.